The tyrants of Greece are some of the most colourful figures in antiquity, notorious for their luxury, excess and violence, and provoking heated debates among political thinkers. Greek Tyranny examines the phenomenon of autocratic rule outside the law in archaic and classical Greece, offering a new interpretation of the nature of tyranny. The development of tyrannical government is examined in theory and in practice, embracing lesser-known rulers such as the tagoi of Thessaly and the Hecatomnids of Halicarnassus, as well as canonical figures like the Pisistratid rulers of Athens and the Dionysii at Syracuse. The book considers the different forms which sole rulership took – the violent usurper, the appointed magistrate, the general and the Hellenistic king – and the responses which tyranny evoked, both from the citizens of the polis and from intellectuals such as Plato and Aristotle. Lewis replaces the longstanding theory of an ‘age of tyranny’ in Greece with powerful new arguments, suggesting tyranny was a positive choice for many Greek states. 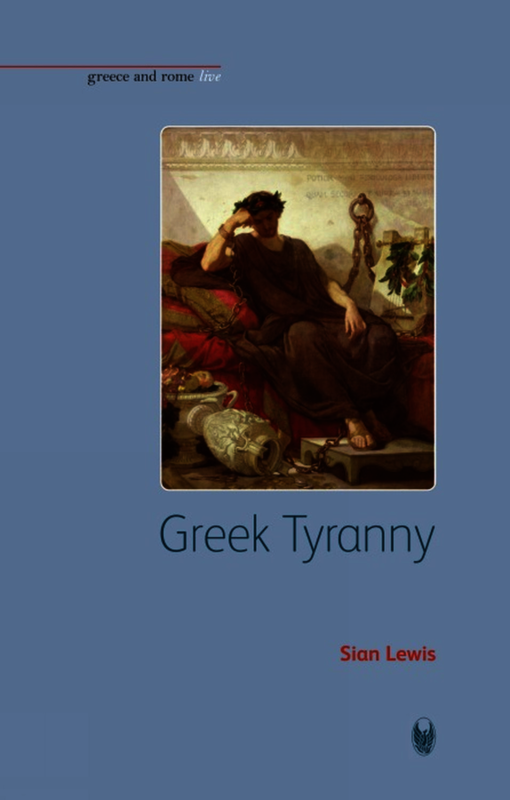 In this short book, written in a lively and accessible style, Sian Lewis presents ancient Greek tyranny as a phenomenon much more varied and interesting than negative Aristotelian (and modern) notions of tyranny imply. What is novel and very valuable about this study is its broad chronological and geographical perspective on tyranny. By examining fourth and third century tyrannies, and by including Magna Graecia and the Asia Minor in her analysis, Lewis destabilizes our vision of Greek tyranny. Sian Lewis is a Lecturer in Ancient History at the University of St Andrews. Other books by Sian Lewis include The Athenian Woman: an iconographic handbook (2002; shortlisted for the Runciman Prize 2003) and the edited volume Ancient Tyranny (2006).